Community engagement has played central roles in tertiary education, expanding the potentials for academic as well as civic enhancement. Such efforts are often undertaken in part with the use of metrics, as tertiary education institutions attempt to reach various community audiences with quantitatively-supported defenses of their missions, through research analyses and publications, and with their participation in formal institutional ranking systems. However, dramatic expansions of the use of metrics and the importance of publications in academics have fostered gaming and manipulation practices designed to enhance artificially both individual and institutional reputations, including predatory journal administration, coercive citation, forced joint authorship, paper mill and ghostwriting efforts, H-index manipulation, creation of bogus documents, development of fraudulent academic conferences, and many others, as well as falsified research itself. As they emerge in the press or in watchdog reports, such questionable practices can disturb delicate negotiations concerning the respective roles of communities and academic institutions as well as be perceived by some community members as violations of trust. The practices can be especially harmful when associated with celebrity or “star” academics who often are granted substantial institutional leeway. This study maps an assortment of these emerging practices from a community engagement perspective; it also analyzes recent discourse as to the impacts the normalizations of these problematic practices are having on community-academic interactions. It discusses strategies toward making production and use of academic metrics and related research output less easily manipulated and more worthy of trust both by academic participants and the community as a whole. Arend, R. J. (2017). Conflicts of interest as corrupting the checks and balances in the postpublication oversight of academic business journals. Journal of Management Inquiry. https://doi.org/10.1177/1056492617715323. Bretag, T., Harper, R., Burton, M., Ellis, C., Newton, P., & Rozenberg, & van Haeringen, K. (2018). 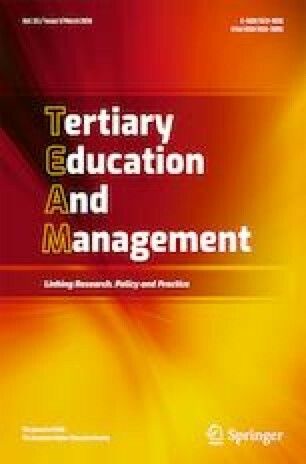 Contract cheating: A survey of Australian university students. Studies in Higher Education, 1–17. https://doi.org/10.1080/03075079.2018.1462789. Carnegie Foundation for the Advancement of Teaching. (2008). Community engagement elective classification. Retrieved July 28, 2008, from http://www.carnegiefoundation.org/classifications/index.asp?key=1213. Accessed 1 March 2019. Garza, C., Stover, P. J., Ohlhorst, S. D., Field, M. S., Steinbrook, R., Rowe, S., Wotecki, C., & Campbell, E. (2019, Forthcoming). Best practices in nutrition science to earn and keep the public's trust. The American Journal of Clinical Nutrition. https://doi.org/10.1093/ajcn/nqy337. Hamblin, J. (2018, September 24). A credibility crisis in food science. The Atlantic. Retrieved from https://www.theatlantic.com/health/archive/2018/09/what-is-food-science/571105/. Accessed 1 March 2019. Pooley, J. (2018). Metrics mania: The case against academia.Edu. hCommons. Retrieved from https://hcommons.org/deposits/item/hc:17533https://hcommons.org/deposits/item/hc:17533. Accessed 1 March 2019.